The bees are buzzing and the blooms are bursting! For those of us who grow our own herbs, it's time to start preserving at least some of that mid-summer herbal goodness for future use. I dry some of my own herbs to use in teas, infused oils, as culinary additions, and, in the case of some of our hops vines, for the sheer pleasure of decoration! In my garden, I grow comfrey, lemon balm, various oregano and thyme varieties, chamomile, fennel, calendula, sage, rosemary, lavender, hyssop, and all sorts of mints (just to name a few of my favorites), and all of these are quite easy to dry and preserve for recipes, soaps, infused oils, and even dried bouquets. Plus, you don't need to have any fancy equipment for herb drying - it's so simple! The general guideline is to harvest herbs just before the flowers open. I confess I don't always follow that rule because one of the big reasons I grow many of these wonderful plants is for the bees and pollinators. I might pull a few leaves off a comfrey plant, or use fresh herbs in cooking, tea, and other beverages, but I also love to see the flowers bloom - and my honeybees do too. 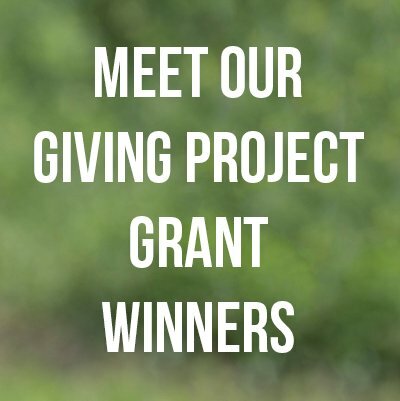 Additionally, there are some plants, like chamomile and calendula, where the flowers are the most desired part of the plant, where other herbs like fennel and dill, produce aromatic seeds you'll want to save. For these, you'll harvest the flower heads after the seeds form. I like to choose strong stems with healthy, intact leaves for drying. In most cases, I don't even need to wash the cuttings since I keep an organic garden and don't have dogs roaming around where the edibles grow. You can definitely give the herbs a wash in cool water prior to drying, just be sure to gently shake off the excess moisture, and remove any wilted leaves, spots, insects, or other unsavory elements. I find air drying to be the easiest method and this can be accomplished in a few different ways. For plants with tiny leaves like thyme and oregano, I like to lay the stems out on paper towels or a flattened piece of brown paper bag. Some folks like to put a clean tea or kitchen towel on a drying rack (like one used for cooling fresh-baked cookies) and lay the herbs out there. This is best done when the weather is warm and dry. Once the herbs are completely dry, strip the leaves from the stem by sliding your thumb and forefinger along the stem from top to bottom (working against the natural upwards bending of the leaves helps them come right off) and gather them together in a sealed container. For plants with large or feathery leaves (like dill, mugwort, and fennel), air drying in bundles can work very well. I gather several stalks together and use a rubber band to hold them at the base. Hang the bundles upside down in a warm, dry place out of direct sunlight, like in a garage, shed, basement, etc. Wire, hemp twine, paper clips, and even clothes pins work great for hanging these bundles. You'll just want to make sure that the air can circulate around them and they aren't likely to get exposed to moisture or bugs. It is important to not make the bundles too big as this will make for longer, less efficient drying, and can lead to rot or mold issues. 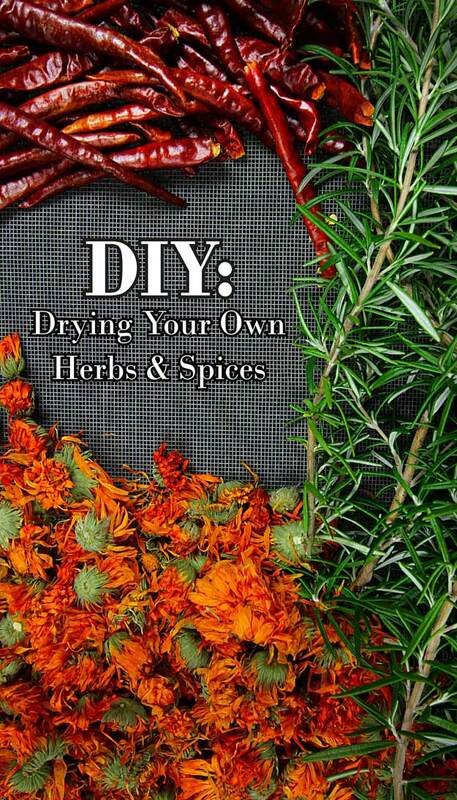 Other methods of drying herbs include using a heat source like an oven or an electric dehydrator. When using an oven, you'll want to strip the leaves from the stems and spread them out on a cookie sheet. Turn the oven on to the very lowest setting and keep a close eye on the herbs while they are drying to make sure they don't dry too quickly, become crisp, or stick to the pans. For an electric dehydrator, be sure to read the directions that come with your dehydrator for tips on drying times, how to place the leaves in the trays, and temperature suggestions. For drying herbs with seed heads (like fennel or dill), I like to put a paper or plastic bag over the heads and tie this around the stalks so any seeds that fall will be caught in the bag. You can also dry your herbs outside if you live in a dry climate, but keep in mind that the direct sunlight can fade the colors and extreme warmth can damage some of the vibrancy. Either way, you'll want to bring the herbs indoors when they are thoroughly dry. 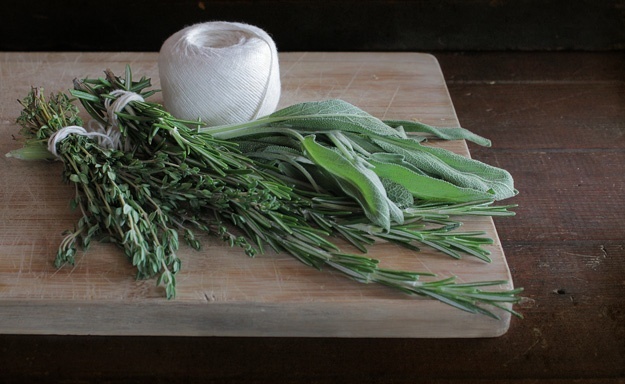 After the herbs are thoroughly dried, it is important to store them properly to preserve taste and quality. 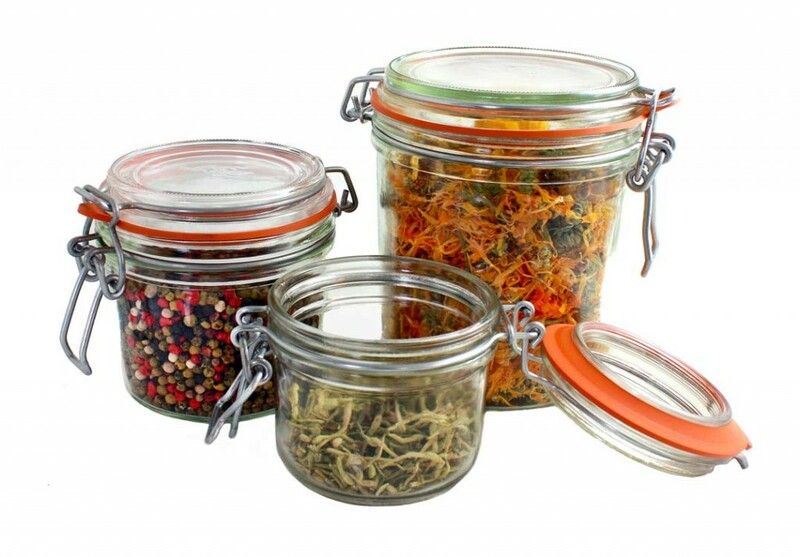 I like to keep dried herbs in clean glass jars with lids or spice jars with corks or shaker tops. You could just as easily keep them in plastic jars or sealed plastic bags. For long-term preservation, the herbs can be frozen in this dried state too. 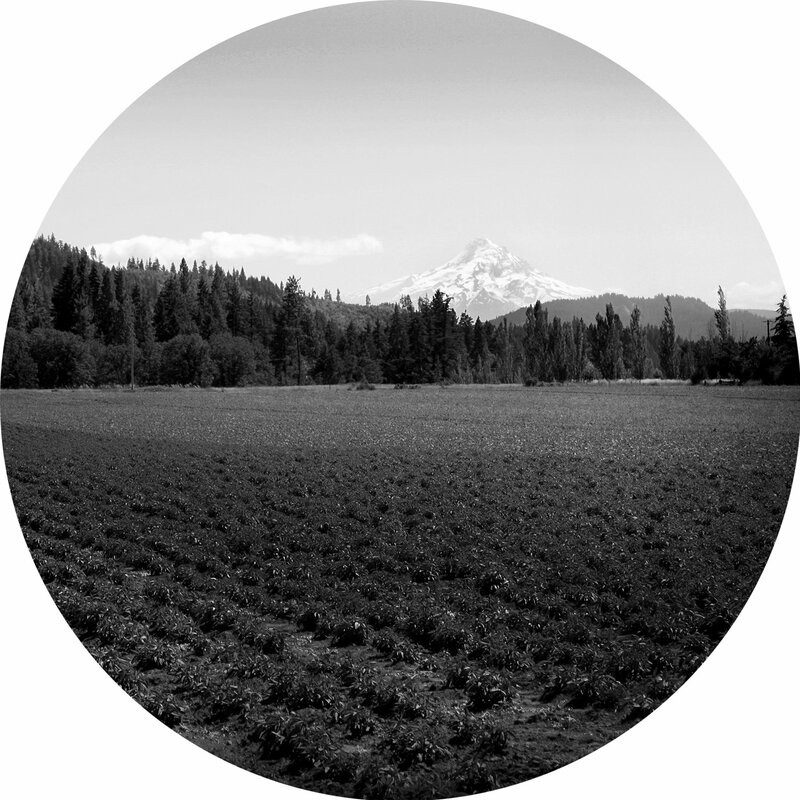 You'll want to make sure to avoid temperature fluctuations and exposure to light. I try to use up all of my home-dried herbs within a year. If I get my timing just right, I'm using the last of the dried herbs when the plants start growing again! 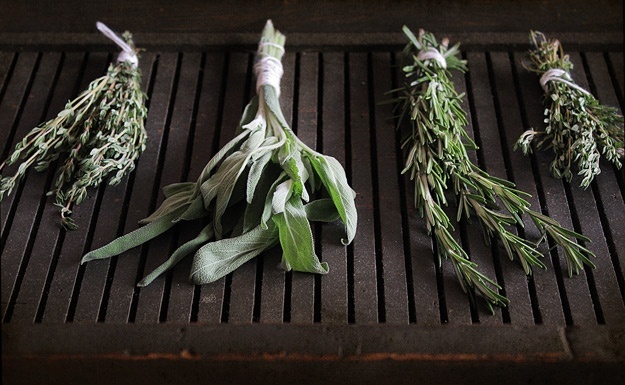 Making Substitutions: Dried or Fresh Herbs?